Mixology: Bullsh*t Word or Actual Thing? Mixology: Bullsh*t Word or Actual Thing? Mixology: Bullsh*t Word or Actual Thing? Maligned for its connotations of pretension, mixology is actually just a simple concept that has nothing to be ashamed of. In my high school years, I really entered the world of social drinking (with my parents’ company of course.) Being from New Orleans, the supreme amount of alcohol ingestion I’ve witnessed since then is ridiculously sobering. Our culture revolves around drinking. Sunday brunch? I’ll have a mimosa. Long day at work? Let’s go to happy hour. All your friends are getting engaged every other week? You can never get sick of good champagne. Now that I’m older and more curious about the drinks I’ve been raised to order, I began to wonder what makes a cocktail good. Why am I always ordering rubbing alcohol taste-alikes when I could be experimenting with other delicious beverages? Well —for one —my budget. Like most college students, I can’t afford to drop the big bucks on sampling every craft cocktail in the bar. But I most certainly can surf the world wide web for mixology knowledge. Mixology. Is it a science? An art form? A fancy disguise for bartender? Yes, yes and maybe. From what I’ve read, mixology is subjective to most individuals. Yes, many people on the web complain about mustache bearing hipsters who call themselves “mixologists” after serving one mediocre cocktail. While neither mustaches nor hipsters are something to complain about, it seems to me that bartenders get butthurt because in comparison, they seem lesser. However, my research unearthed some key elements of the trade as well as what differentiates it from bartending. Mixology is the act of mixing drinks or bartending. A mixologist is a person who studies in depth the chemistry, history and flavors of cocktails and mixed drinks. A bartender is literally defined as someone who tends a bar (aka serves drinks and mingles.) So which has the higher status? Neither. The two roles essentially diverge from one common interest: booze. Originally, mixologists were deemed bartenders that went above and beyond their standard duties and approached drink mixing from a culinary angle. 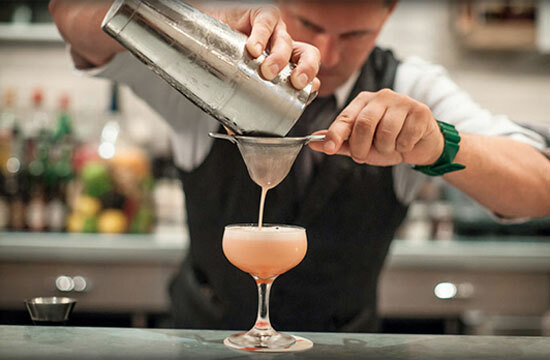 These days, the term mixologist can go so far as to mean a person who educates beverage companies and clients on the history and craft of cocktails. Want to learn the perfect ratio of liquor to mixer? Consult a mixologist. Want a killer hangover? Hit up a bartender. So how do you become a mix master? Simple. Start or blog or don’t. Experiment religiously. Seek out honest taste-testers. Write a cocktail recipe book. Open a bar or don’t. Call yourself a mixologist. Boom. You have achieved a PhD. in the craft of cocktails. Of course, practicing mixology may not be as black and white as that. Bartending is where all great mixologists begin. Having a knack for creating cocktails, whipping out drinks in the blink of an eye and holding a conversation while simultaneously pouring shots are all great skills that serve as a starting point. You must hold a passion for flavor, artistry and knowledge to excel at the study of liquors and spirits. Holding a bartending position allows you to adopt the hospitably and social manners needed to sell the booze. I find it difficult to get people to try your cocktails if you can’t hold a conversation with them. You also meet people of all trades, from all over the world. You see people at their most vulnerable and unfortunately, sometimes at their worst. 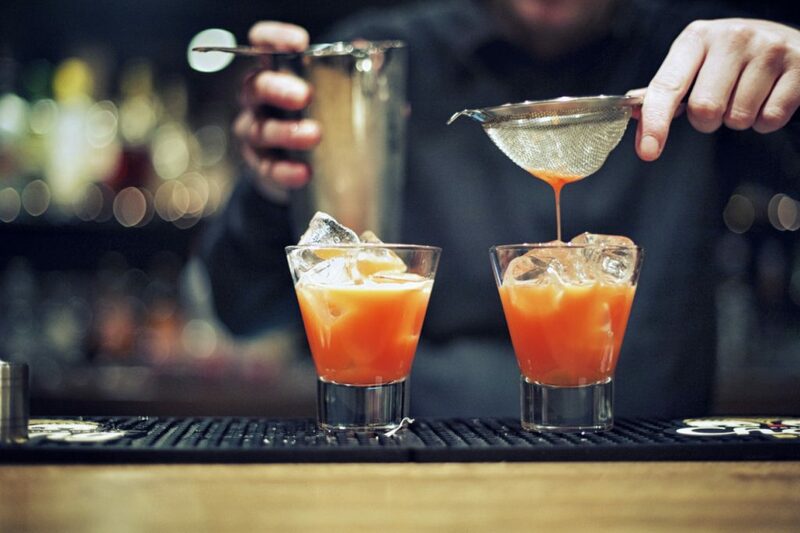 All in all, mixology and bartending are one in the same. It’s not anymore glamorous than a foodie or a coffee enthusiast. It’s one of those titles where a very small percentage actually makes it into a living by writing books or leading workshops while the rest are hosting a lively Friday night crowd. If you’re feeling inspired by this enlightenment and still think the trade is legit, check out this website’s mixology backpacks and kits. Yes, they are crazy expensive, only adding more evidence to a pretentious, overrated title. But where would we be without these ambitious minds that have evolved our taste for America’s nightcaps? Our martinis, old-fashioned’s and gin and tonics wouldn’t be as revolutionary tasting as they are today. We owe our raving tastebuds’ satisfaction to both mixologists and bartenders around the world who take pride in concocting intriguing refreshments. So, next time you’re contemplating whether or not to take that bartending job, do. You make fast cash, conversation and damn good drinks (hopefully,) And if you’re on the verge of referring to yourself as a mixologist, do so. There is no shame in wearing the shoe if it fits.